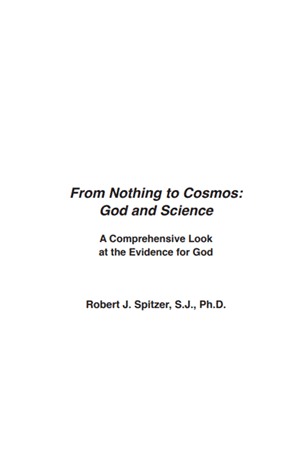 A full treatment of topics on the evidence for God from contemporary science. 4 hours on 4 DVDs coupled with The Workbook + (included FREE), can be used for a 12-part presentation. It meets the USCCB requirement for supplemental curriculum. It can also be used as the foundation for a one-semester course in faith and science. This course responds to the pressing secular myths that threaten our faith and, indeed, our society. This series, featuring Fr. Robert J. Spitzer S.J. Ph.D., is a full treatment of topics concerned with the evidence for God from contemporary science. 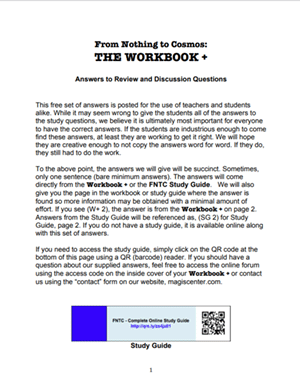 The Workbook + is a comprehensive workbook aimed at upper level High School ability and above. 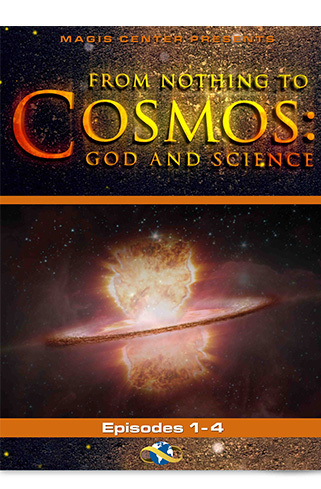 It is meant to accompany the DVD series, From Nothing to Cosmos: God and Science, but is capable of being a stand alone educational product. 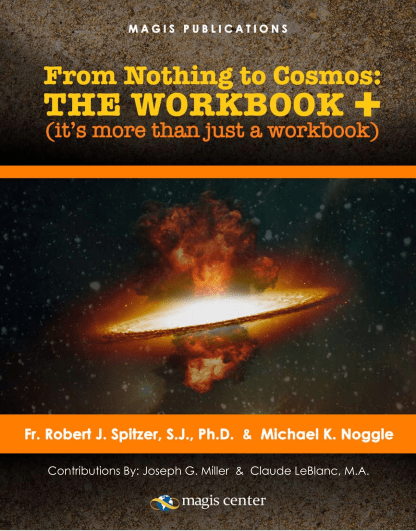 This Study Guide contains comprehensive questions and answers for all the material in From Nothing to Cosmos. It also has the power point slides from the presentations, as well as quotations, biographies, and references of major scientists and philosophers. 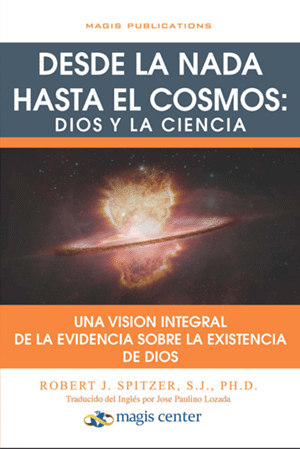 Este libro puede ser utilizado por si mismo, ya que proporciona preguntas y respuestas comprensivas sobre áreas claves de la evidencia sobre la creación y Dios a partir de la ciencia contemporánea.